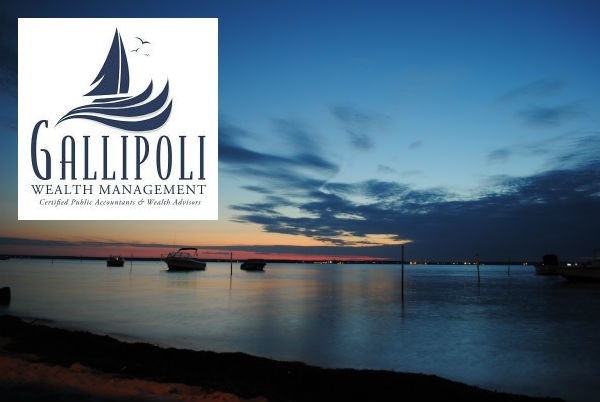 Lou Gallipoli, II, CPA completed an intensive two day,16 hour tax seminar. The seminar concentrated on the Tax Cuts and Jobs Act of 2017 enacted this past year for personal & corporate tax. This legislation is massive and Lou and staff are better informed to handle the inevitable questions that will arise due to the biggest change to the tax code in 40 years. August 1, 2018 - Louis Gallipoli, based in Toms River, NJ, was recognized by HD Vest at its recent Premier Advisors’ Forum. This event is held annually to honor HD Vest’s top 75 performing Advisors1 from across the country and brings together the firm’s senior executives and leading financial industry educational partners. As part of the Premier Advisors’ Forum, which took place at The Four Seasons, Vail, Colorado, from July 27-31, Louis Gallipoli joined with other HD Vest-affiliated Advisors in a variety of events — including educational and networking meetings, along with an awards ceremony and dinner. July 15, 2017- Louis J. Gallipoli, II attended CONNECT2017, HD Vest’s annual national conference. HD Vest Investment ServicesSM, the leading independent broker-dealer empowering holistic wealth management-based investment services, hosted more than 1,500 advisors, exhibitors, and other partners as part of CONNECT2017, which took place in Las Vegas, from June 27-30, and featured HD Vest’s unique focus on supporting independent Advisors who integrate tax solutions with financial services. “It was an honor to attend CONNECT2017. I found the event to be an invaluable resource for networking with peers from around the country and, perhaps most importantly, learning firsthand from HD Vest executives and industry experts. We shared best practices related to the successful integration of sound tax and investment advice into one wealth management solution aimed at helping our clients pursue their long-term financial goals,” said Lou. Lou Gallipoli attended CONNECT2016, HD Vest’s annual national conference. HD Vest Investment ServicesSM, the leading independent broker-dealer empowering holistic wealth management-based investment services, hosted over 1,600 participants as part of CONNECT2016, which took place in Washington, D.C., from June 1-4, and featured HD Vest’s unique focus on supporting independent advisors who integrate tax solutions with financial services. CONNECT2016 included a thought-provoking line-up of speakers, highlighted by industry experts and noted commentators such as General Colin Powell, and provided one-of-a-kind opportunities to network with thought leaders from across the industry. The event also included interactive educational workshops and breakout sessions, as well as the opportunity to meet with 125 financial product firms and exhibitors to discuss some of the latest ideas encompassing a wide range of practice management and wealth management solutions.